These ‘Earthship’ homes are off the grid & absolutely stunning! We can all do this. The full length documentary telling the epic story of radical Earthship eco architect Michael Reynolds, and his fight to build off-the-grid self-sufficient communities can be viewed in the LINKS folder. 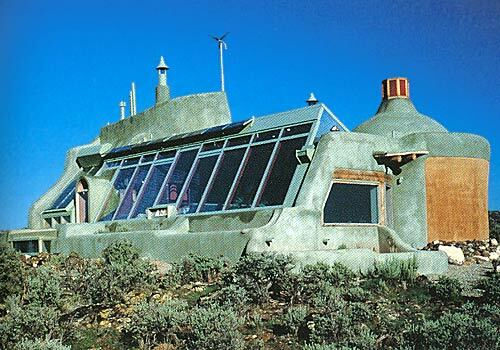 Michael Reynolds, an American architect in New Mexico, built his first sustainable house in 1972 with only recycled materials. 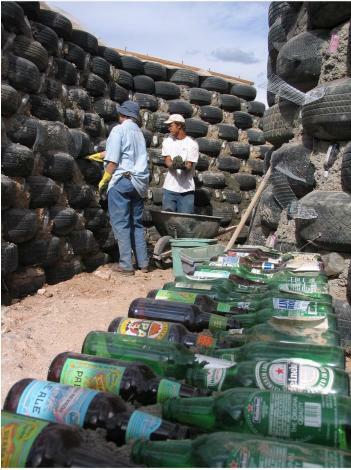 Not just recycled wood or wood chips etc, but recycled consumer waste such as aluminum cans, plastic bottles, and old tires. 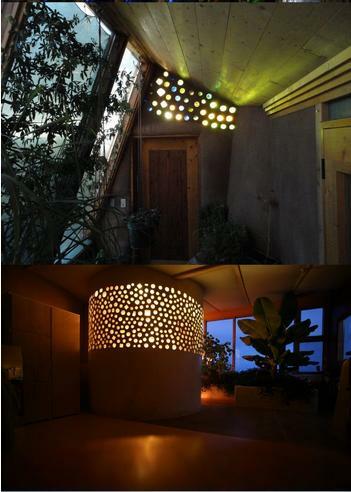 According to Reynolds, his practice is called Earthship Biotecture. And since his first Earthship in 1972, he has built numerous others which have evolved to include solar panels and geothermal climate control systems. 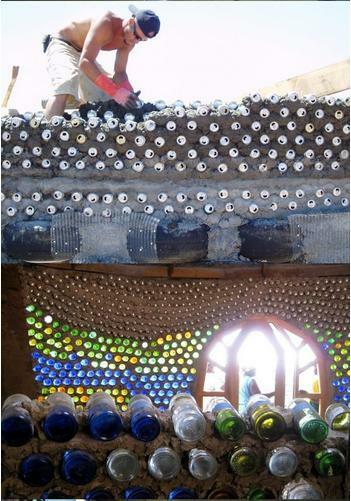 In addition to sustainable construction through the use of recycled trash, Earthships generate their own electricity, collect and recycle their own water, maintain their own climate control, and produce their own food! We all know that our landfills are nearing capacity almost everywhere on the planet. So this guy basically took our problem and turned it into a solution. 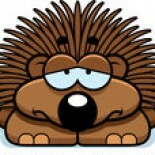 This entry was posted on April 11, 2012 by porcupinelounge in SUBSISTENCE LIVING and tagged Earthship, Self sufficiency, Sustainability.